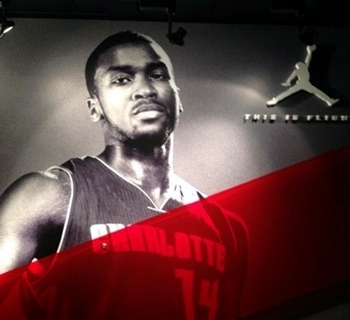 Jordan Brand added another budding star to their family after signing Charlotte Bobcats rookie Michael Kid-Gilchrist as a new endorser. Kidd-Gilchrist, who was the second-overall pick of the Bobcats in the 2012 NBA Draft, initially signed with Nike, but it didn’t take too long before he moved to Jordan Brand that is operated by Michael Jordan, who is also the owner of his NBA team – the Bobcats. A signature shoe for the rookie is not expected to be release in the near future, but he should be wearing exclusive Jordan Brand kicks this upcoming season. Will he be as famous as the other Jordan Brand superstars? Only time will tell so let’s all watch out!